It’s been 60 years since the Clean Air Act was introduced and it is well over-due an upgrade. In the 1950s air pollution was clearly visible. You could stretch your arm out in front of you and hardly be able to see your fingers. In December 1952 a great smog fell over London with devastating effects. Around 4,000 people are thought to have died in the immediate aftermath, and a further 8,000 died in following weeks and months, with fog so thick it stopped trains, cars, and public events. The Clean Air Act was a significant piece of healthcare legislation introducing measures to reduce pollution such as 'smoke control areas' in some towns and cities in which only smokeless fuels could be burned. It paved the way for further legislation and policy to improve air quality across London and the UK. The smog of the 1950s was due to coal burning in domestic fires and industry. In today’s society the picture is different. The pollution is invisible and is a silent killer. Coal fires are no longer causing us the problem – now tiny toxins and particles are being poured into our air from cars, lorries and buses and we are breathing them in day by day. They infiltrate our lungs and pass into the body’s circulation and not only do they then impact the body's response to stress in terms of causing coronary heart disease and making asthma and chronic obstructive lung disease worse but they also increase the risk of dementia and diabetes; they age the skin and can cause eye problems. These toxins also affect the development of babies in the mother’s womb in relation to kidney and lung function, miscarriage and increases the risk of heart attacks and stroke in later life. More than 40,000 people a year die because of air pollution – that is 40,000 too many. This is an epidemic and we in the medical profession and the general population have to stand up and say something. Fortunately some cities are waking up to this issue – the new Mayor of London has said that action will be taken in the capital, but others need to follow suit. We desperately need a new Clean Air Act that reflects the problems that today’s society faces, in particular the pollution caused by diesel cars. Maybe Brexit gives us this opportunity. Half of the cars on the UK’s roads are diesel cars, compared to 20 per cent in other Euro countries. Thirty-eight out of 40 regions in the country have breached the World Health Organisation’s air quality guidelines. We are losing the battle against pollution. We need a new way of thinking about transport and how we move about the country, one that encourages people to get out and cycle or walk. We need an Act that holds the highest polluters – individuals or industry – to account and make them take responsibility for harming our health. 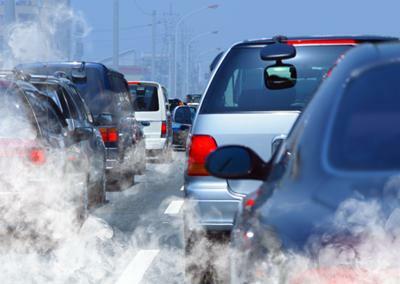 Political leaders at a local, regional and national must introduce tougher regulations, including reliable emissions testing for cars to ensure the air in our towns and cities is clear. We all must ensure that air quality remains high on the political agenda and we get a Clean Air Act fit for the 21st Century so our future generations are not affected by life-threatening pollutants. 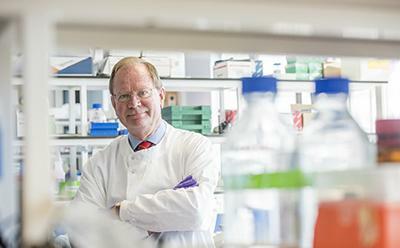 Professor Stephen Holgate wrote the above piece ahead of the University of Southampton's latest event in the Health and Healthcare Lecture series. The event on Wednesday 7 September will showcase the University's outstanding respiratory research. You can watch the live stream of the event here.